A German postcard showing the entrance to the Lodz ghetto. The sign reads "Jewish residential area—entry forbidden." 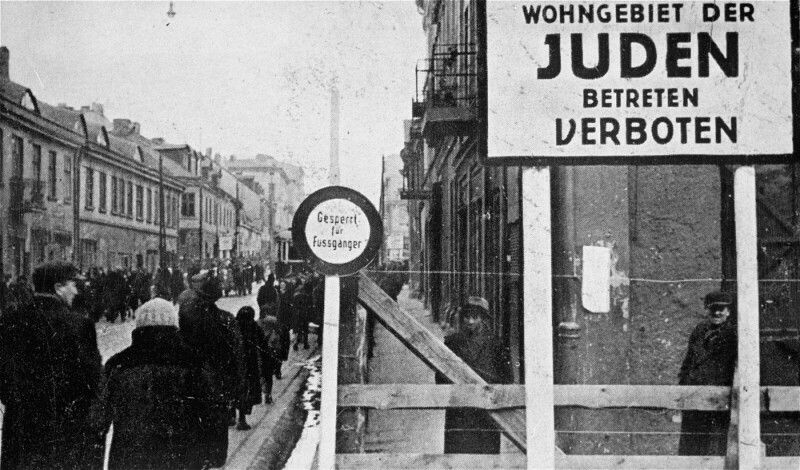 Signs forbidding entrance to Poles and Germans were posted at all entrances to the ghetto. Lodz, Poland, 1940–1941.